Do you like to replay games, which you`ve had played before? Which ones do you like to replay over and over again? 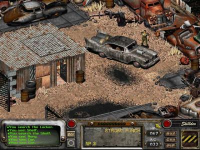 - Fallout 2 +Restoration Pack (Killap) + mods from Jim and Phobos2077. 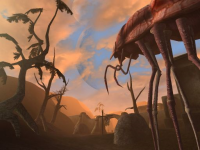 - Morrowind with graphical packs. It was on the Atari ST and I think was called something like Space Rangers but I cannot find any trace of it on the internet, does this ring any bells with the old timers out there? Waiting for any eye catching strategy games. I know that most of them are not old, but this is what I enjoy the most. Tactics Ogre on Playstation gets a replay every couple of years. I really enjoy playing the old Hitman games, SWAT 3, and the Final Fantasy series (especially 4, 6, 7, and 9). Only one I can think of was Breach, which a had a few sequels, never played it myself though.